A story of pre-lapsarian innocence and corruption ... a gripping and powerful allegory of the modern world. "The writing is beautiful and I found it very moving." "One of the select books out of the hundreds of thousands published in 2014 (or any year) you should read, for the wonder of it all." "Some of the most genuine and convincing dialogue I have encountered in my many years of reading." "It uses the notion of fable and fairy tale to construct a curious and effective critique of modern materialistic life." "Not since â€˜Waiting for Godotâ€™ have I read something that made me ponder its allegorical meaning so deeply." "An ambitious, deceptively compelling story - engagingly strange, and strangely engaging." "Beckettian characters and pragmatic dialogue make for an unusual, challenging but intriguing story." 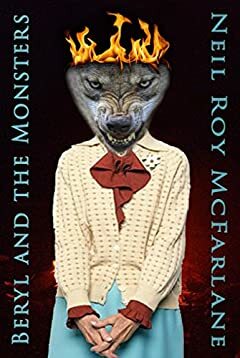 Just a few years ago, Neil Roy McFarlane was an obscure writer whose name was almost completely unknown in the literary world. Today, his books have been read and enjoyed by more than seven people.